Chocolate is good for you! | INVISIBLE Translation Inc.
Home » Chocolate is good for you! Temptation for some, divine for others, these delectable treats concocted from cocoa paste and sugar actually have some surprising benefits. So you can indulge to your heart’s content (well, almost), much to the delight of chocolate aficionados. The official origin of this special day for lovers is actually not so easy to pin down. Some claim it dates back to ancient Rome. Around February 15, festivities were held to honour the god who protected shepherds and their flocks. These involved a rite of sorts, for the purpose of forming couples. Later, Pope Gelasius I designated this annual celebration the feast of St. Valentine, patron of lovers. This decision marked the start of the “ancient Roman” tradition of offering a gift to a lover on February 14 in celebration of love and the privilege of being a couple. Why chocolate? Because it was considered an aphrodisiac. The Aztecs drank a chocolate concoction to stimulate sexual desire, while other indigenous peoples used it to coat their erogenous zones. Our passion for this delectable treat goes back a long way. The cocoa bean was discovered by the Maya, who used it to make a spicy beverage. Extensive historical evidence shows that cocoa pods were first exported to Spain around 1528, specifically by Hernán Cortés. Making chocolate is actually quite simple. The cocoa bean is first roasted and crushed, to form a mash, to which sugar is sometimes added before it is crushed again. The resulting paste is combined with cocoa butter for grinding, to produce the familiar chocolate bar. The Oxford Dictionary of English cites the word “chocolate” as first being used in English in the early 17th century. It makes an appearance in Samuel Pepys’s Diary for the year 1664. Webster’s New World Dictionary cites the word as deriving from French, via Spanish, which in turn had borrowed it from Nahuatl, the language of the Aztecs. 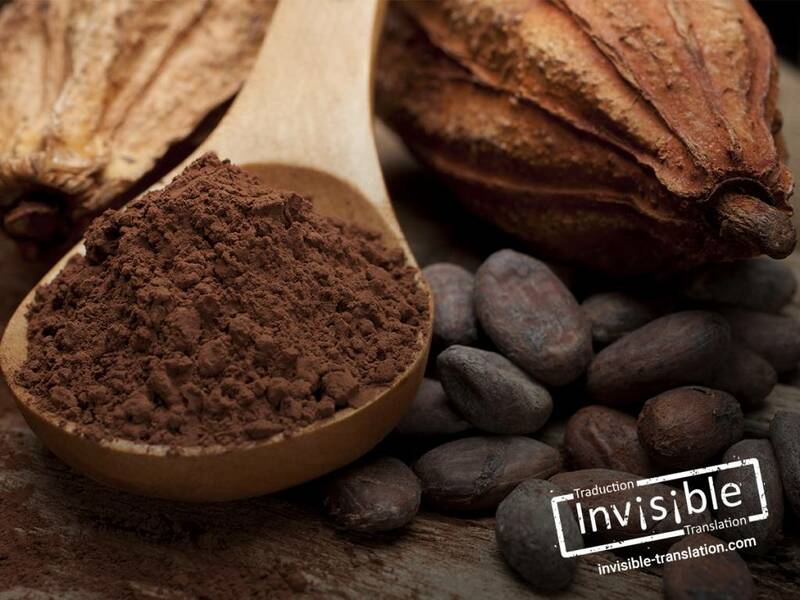 The fruit of the cacao tree possesses these special properties because of its high magnesium, antioxidant, amino acids and fibre content. Dark chocolate also stimulates serotonin production and secretion of endorphins, the hormones that trigger feelings of happiness. In addition to its wonderful flavour, chocolate is good for us. So why deny ourselves? What’s your favourite type of chocolate? Do you prepare it in a special way before eating it? Send us your comments at: feedback@invisibletranslation.com.